Teen-Beat 242. VERSUS. Two Cents Plus Tax. in jewel case with black tray. The third full-length album from this New York City-based band. 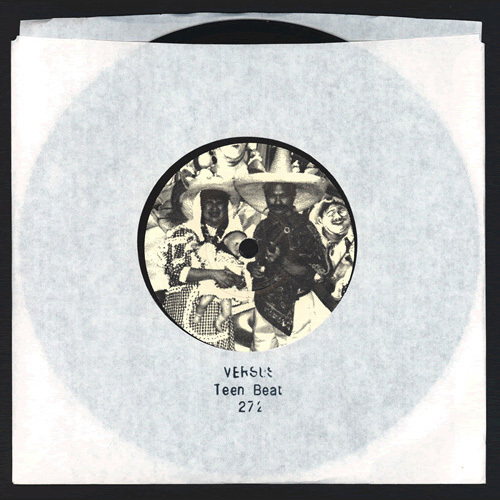 A free 7" vinyl 45 [Teen-Beat 272] is included in the package of the first 1,000 copies of this vinyl LP and contains two songs not on the album; "Oriental American" and "Wallflower". The inspiration for the album cover was Talking Heads' "More Songs About Buildings & Food" album cover, designed by David Byrne. The cover was assembled from thirty or so Polaroid instant photographs taken Temple University in Philadelphia, Pennsylvania after a performance by the band. Includes an insert with song lyrics. 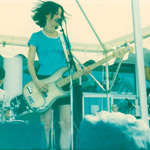 "Versus' 1996 Secret Swingers contained an award-winning recipe of bittersweet melodies, propulsive, crunching guitars and skipping rhythms. Whereas the dark tone of Swingers made an instant impression, the band's fourth studio LP Two Cents Plus Tax requires a little more patience. Still, after a few listens to Two Cents, the band is able to cause the same chills that resulted from Swingers tracks such as "Lose That Dress." 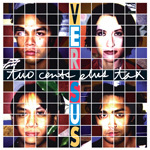 Versus thrive off the interplay between guitarist Richard Baluyut and bassist Fontaine Toups, who trade off singing duties and harmonize over each other's parts in nearly every song here. Thus, the repeated references to relationships gone south and soul mates who just can't cut it adorn Versus' songs with a very intimate quality. 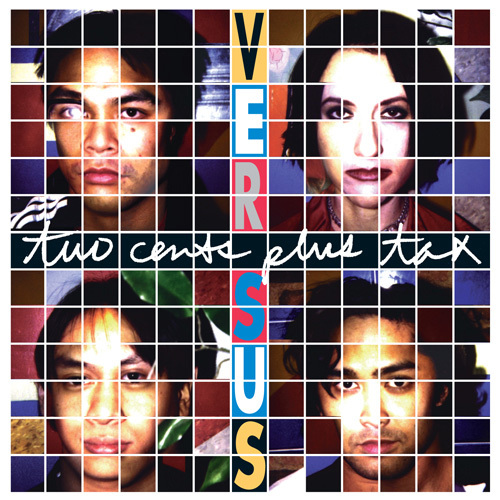 And on Two Cents Plus Tax, the diary-style lyrics are even more blunt and hard-hitting. The slower tracks are particularly heart stopping. The Baluyut-sung "Radar Follows You" is an oh-so-sad tale of a couple who grow apart after moving in together, while Toups' absolutely gorgeous "Never Be O.K." should be a mandatory inclusion on all future break-up mix tapes. A close second would be "Crazy-Maker," a strummy, late-night number that more than warrants the six-plus minutes (read: excellent use of open space) spent uttering "I'm in love with your eyes." Those looking for the overflowingly hooky tracks that inhabited Secret Swingers will find solace on opener "Atomic Kid," which, in its quick chord changes and focused beat, epitomizes all that is good with the Versus sound. "Morning Glory" gets high marks as well, downshifting from an aggressive, Pixies-style verse to Baluyut's tenderly sung chorus and Toups' teary eyed outro. There's something very familiar about the power-chord barrage at the beginning of "Mouth Of Heaven," but in Versus' hands it sounds just right. Not content to retread, the band derives uneven results from the use of additional instrumentation and some new sonic elements. The piano at the end of "Morning Glory" works well enough, but the slide guitar twang and Baluyut's drawl ("Ca-li-for-nyah") on "Spastic Reaction" seem thoroughly out of place. The electronic percussion on Toups' "Jack And Jill" is a novel approach, but one imagines this song as much more effective with a rock-oriented game plan. Still, it's refreshing to find the band experimenting with different ideas. Ideal for those still baffled by love's myriad complexities or partial to the tension-filled music of Seam or Sonic Youth, Two Cents Plus Tax stands far above the vacuous sentiments expressed by much of today's modern rock fare." 1,710 pressed on black vinyl. The first 1,000 copies also have the bonus 7" vinyl 45 [see Teen-Beat 272]. full-colour on matte varnished stock. photocopied black ink on white 8 1/2" x 11" paper. 4 mil polypropylene plastic sleeve. Europadisk, New York, New York, USA.